We offer a selection of daily guided scuba diving and snorkeling tours. 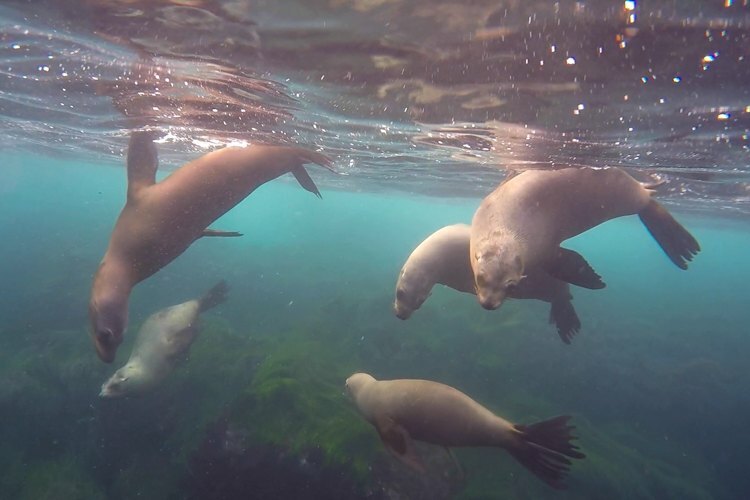 A fantastic way to enjoy the gorgeous La Jolla protected marine sanctuary. Visiting San Diego and want to experience the magical world under the Pacific Ocean? No problem, we have you covered! Choose between stunning locations such as La Jolla Cove and the seven sea caves. How about leopard sharks lane, Boomers or turtle town. Even check out the spectacular giant kelp forest. Take this once in a lifetime opportunity. Explore the ocean that lays beyond the towering sandstone cliffs. Our experienced guides look forward to showing you tons of San Diego’s amazing marine life. Whether you’re a certified scuba diver or first-time snorkeler, we have a trip for you. Bursting with aquatic life, our trips from La Jolla Cove are a once in a lifetime experience. Only a few miles from downtown San Diego. All events take place in the protected ecological reserve. 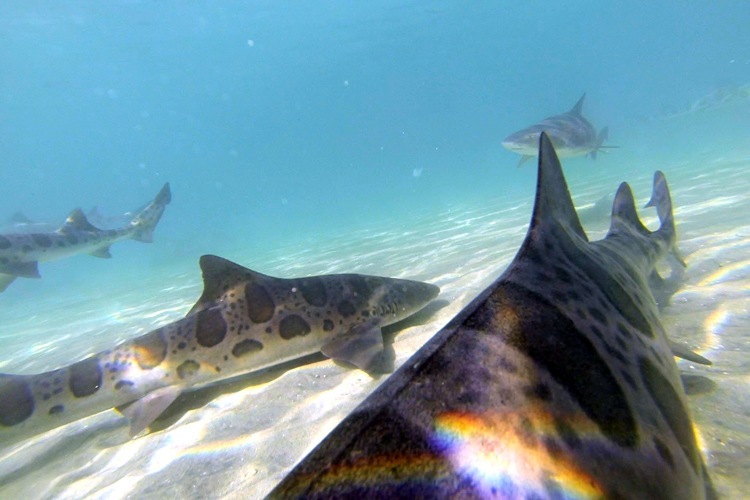 It’s fun snorkeling with the gorgeous leopard sharks in La Jolla! Try one of our exciting snorkeling adventures. 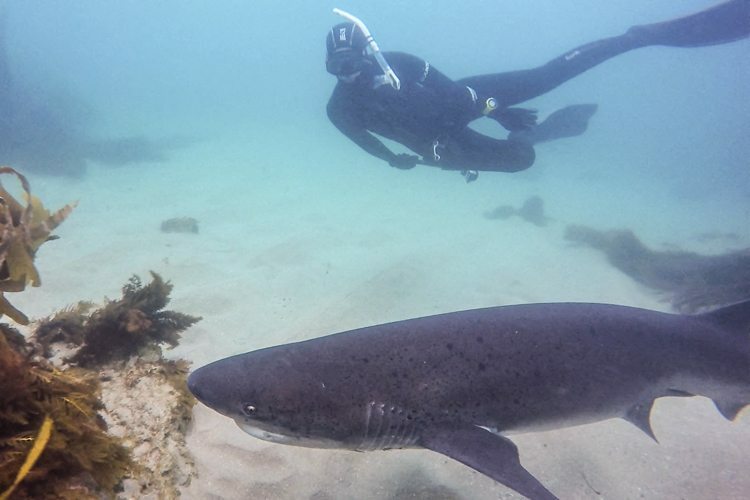 Excursions explore leopard sharks hotspots in the La Jolla marine reserve. 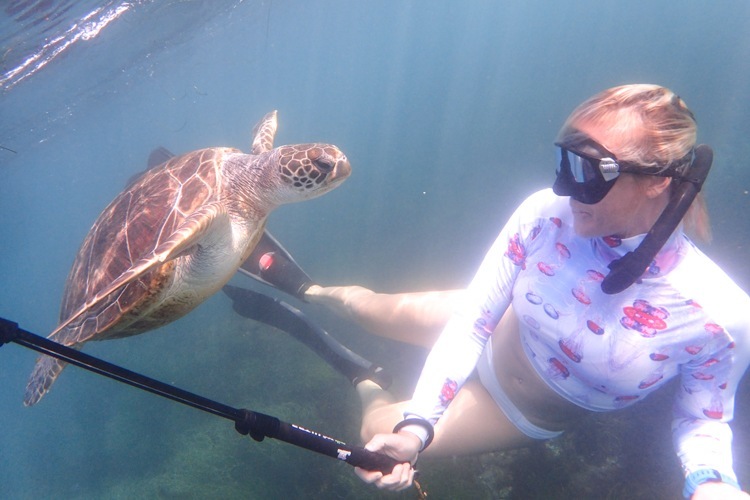 We love snorkeling with the adorable sea turtles! Are you vacationing in Southern California? Join us for a fantastic ocean excursion. Trips also explore the stunning underwater park. 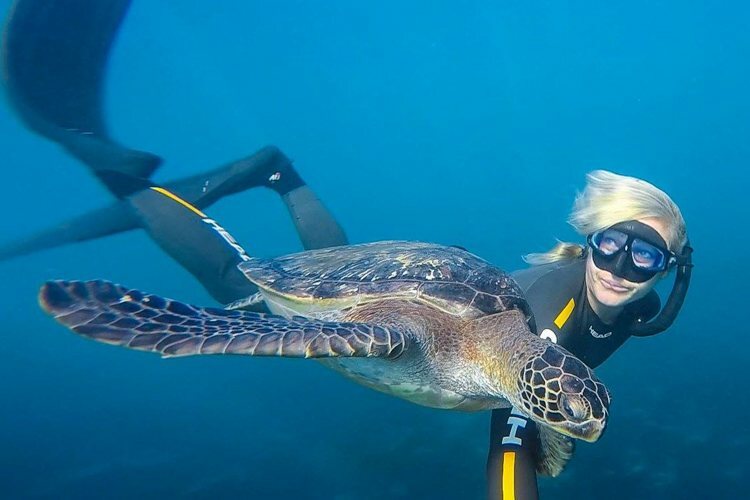 Thrill seekers love sharing the water with sharks in the gorgeous protected reserve! Are you ready to explore the Pacific Ocean? Our exciting excursion is an experience you won’t forget! Our favorite scuba diving site in San Diego is the La Jolla Cove. Beyond the ancient cliffs, is one of California’s most diverse underwater ecosystems. The beautiful kelp forest. 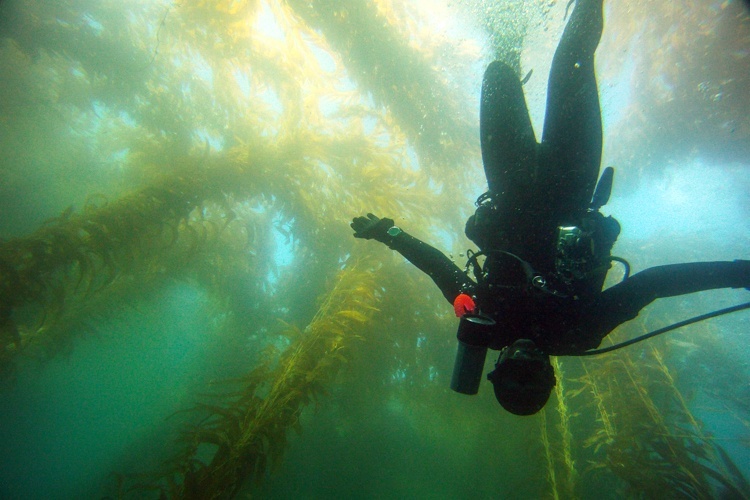 Diving some of the earth’s most magnificent giant kelp forests is only minutes from San Diego. A rich underwater ecosystem, kelp beds, thrive with a massive variety of plant and animal life. 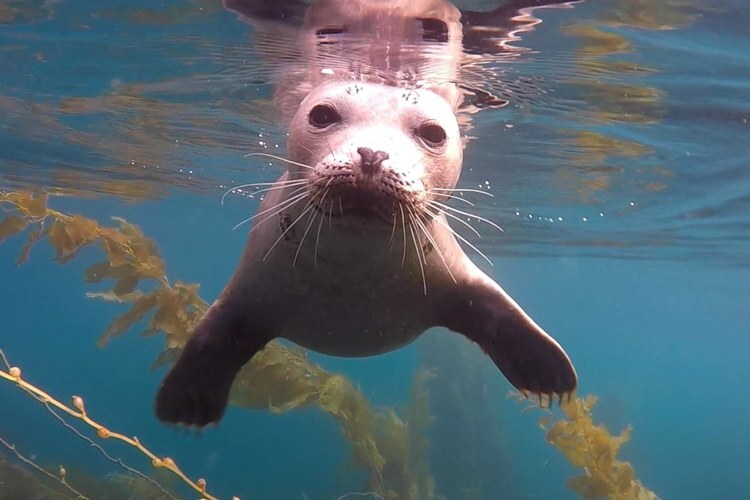 Scuba diving in La Jolla is always a fantastic adventure! San Diego’s top scuba sites are all from the shore in the La Jolla protected marine sanctuary. Every spring broadnose sevengill sharks migrate to the kelp beds off San Diego, California. Next, divers arrive with high hopes of photographing this elusive apex predator. Checking out the sea lions in San Diego is a must for every visitor. In La Jolla, the scenic sea lion path has many excellent viewing spots. This route is a beautiful 30-minute walk along the top of the stunning sandstone cliffs. 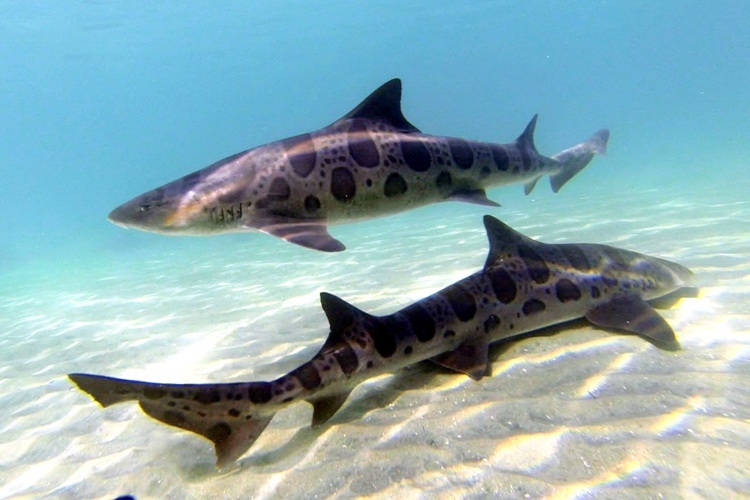 The best way to see leopard sharks in La Jolla is by snorkeling out to their favorite spots. During the summer season, the shark population along the San Diego coastline explodes. Thousands of these beautiful creatures arrive, many females and ready to give birth. Below the rugged ancient cliffs, and under the blue waves, is a unique marine sanctuary. Here is one of the most biodiverse aquatic environments in the world. This area is teeming with ocean life. 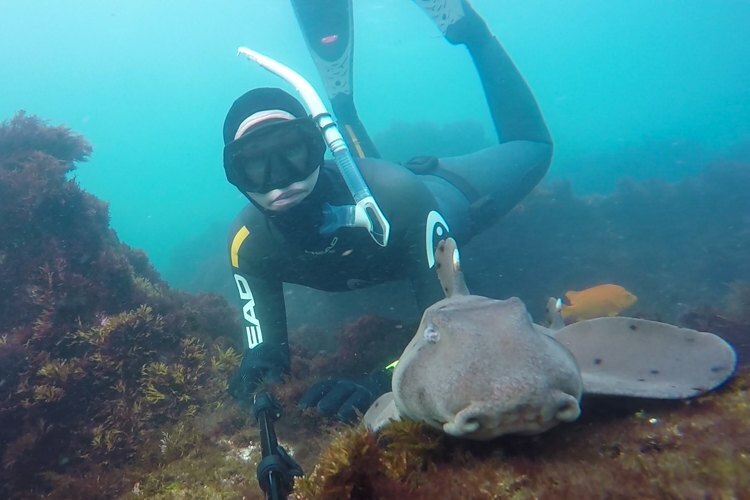 An easy way to experience sharks in San Diego is by snorkeling out to their hotspots. The calm, protected waters of the La Jolla Marine sanctuary is a great place to find a variety of sharks. Snorkeling in Southern California is fantastic. 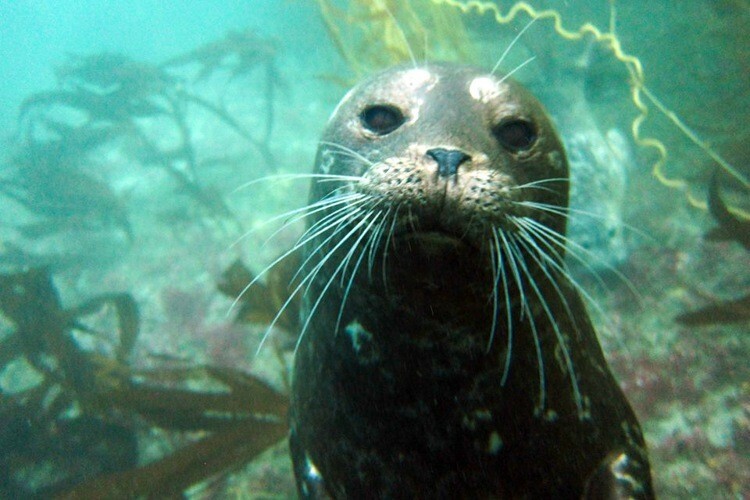 See a myriad of life including colorful fish and cute harbor seals. Here we list the best spots in San Diego and what to see in each location. 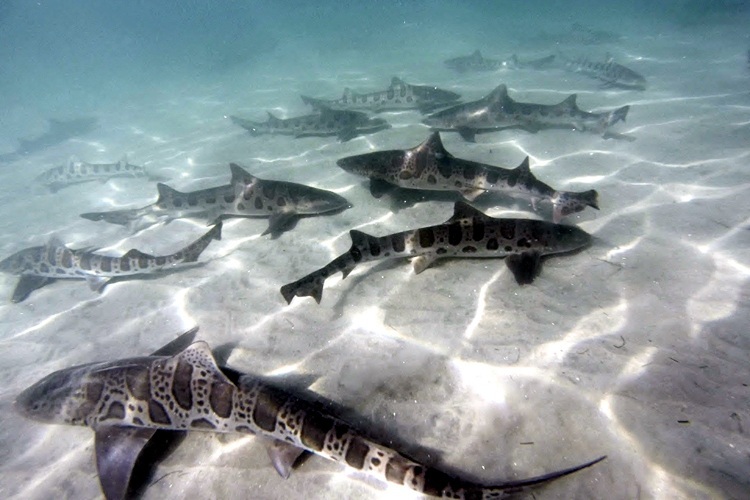 Lots of sharks are what you will find while snorkeling in San Diego’s protected marine area. 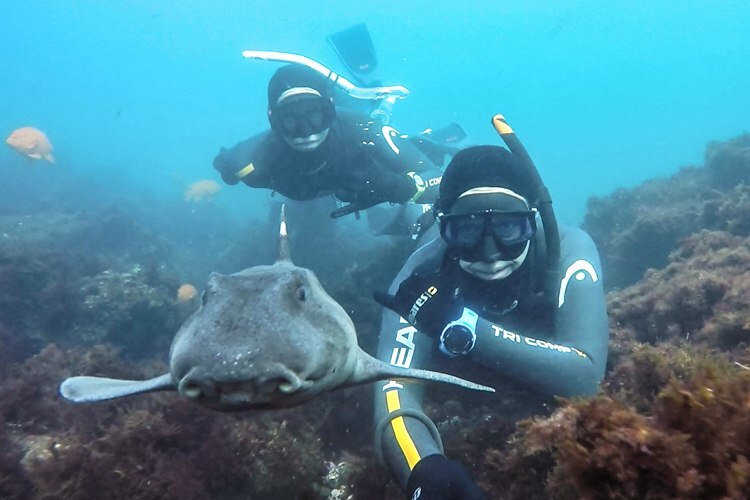 The super cute award goes to the horn sharks in La Jolla. 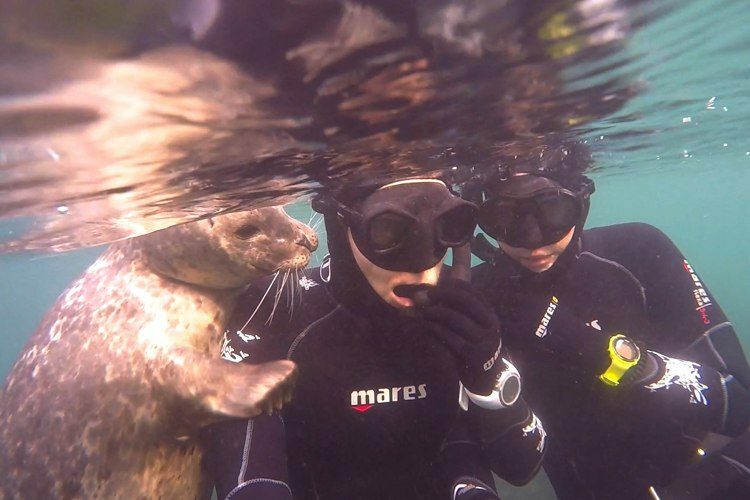 These guys should be on everyone’s dive goals lists. One of the most diverse ecosystems on earth. 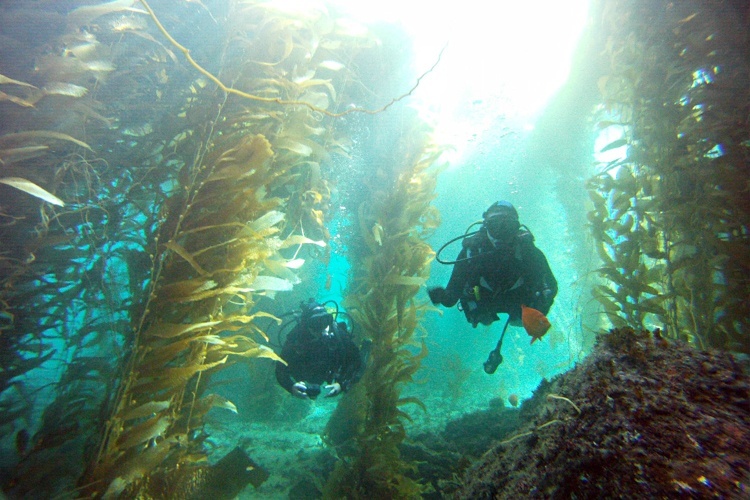 San Diego’s giant kelp forest, a scuba diver’s paradise. An aquatic wonderland of extraordinary beauty and spectacular sea life. Below the majestic sandstone cliffs of La Jolla live the beautiful green turtles. These cuties will capture the hearts of anyone lucky enough to be snorkeling with them. Remember to bring your camera!